The British Touring Car Championship is coming down to a two-way shoot out at Brands Hatch this weekend. Three races will decide the destiny of the 2018 crown, and the main players will be Colin Turkington in the WSR BMW 125i M Sport and Tom Ingram in the Speedworks Motorsport Toyota Avensis. 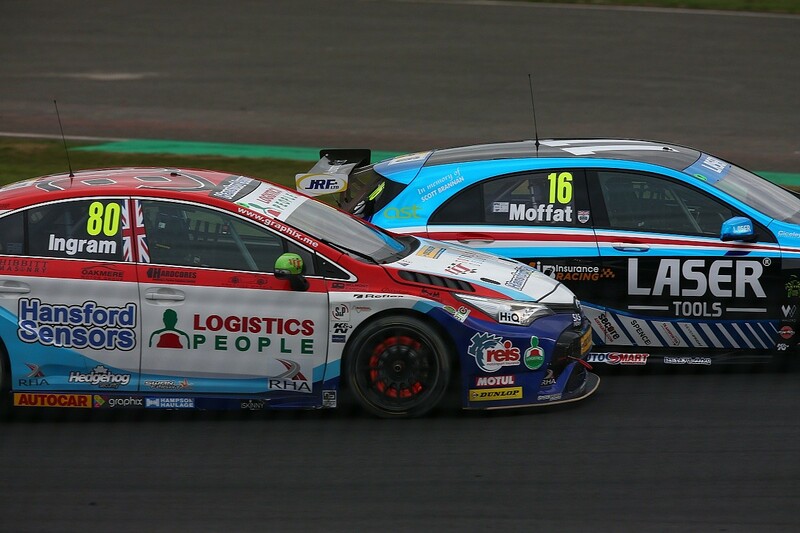 Motorbase Ford Focus driver Tom Chilton has a mathematical chance of overall glory, but he would require something seismic to happen to claim the silverware. Realistically, it's Turkington versus Ingram for the biggest prize in UK motorsport. Turkington heads to Kent in search of his third overall title and he has a healthy 34-point buffer at the top of the table, while Ingram, the reigning Independents Trophy holder, is gunning for his first. The pressure-cooker environment of a three-race showdown at Brands is something unique in motorsport. 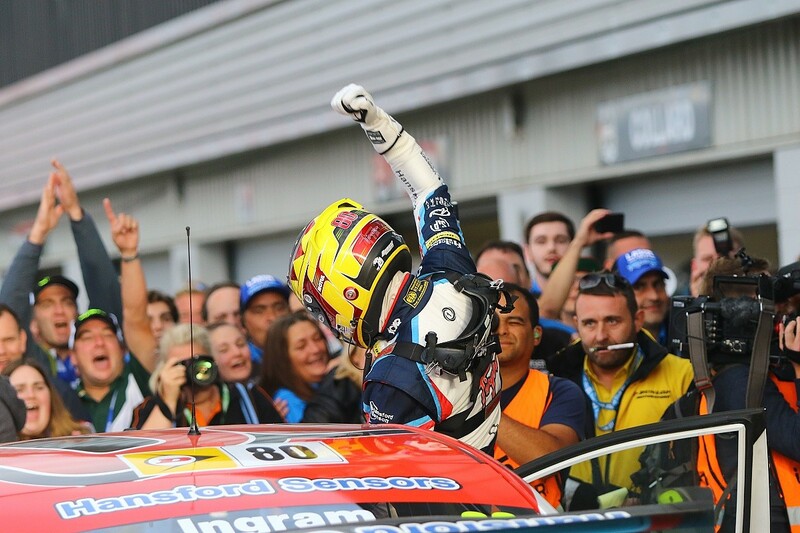 Three races offer up 67 points, and the many factors at play in the BTCC - including success ballast, reversed grids and option tyres - mean that the path to silverware rarely runs smoothly. 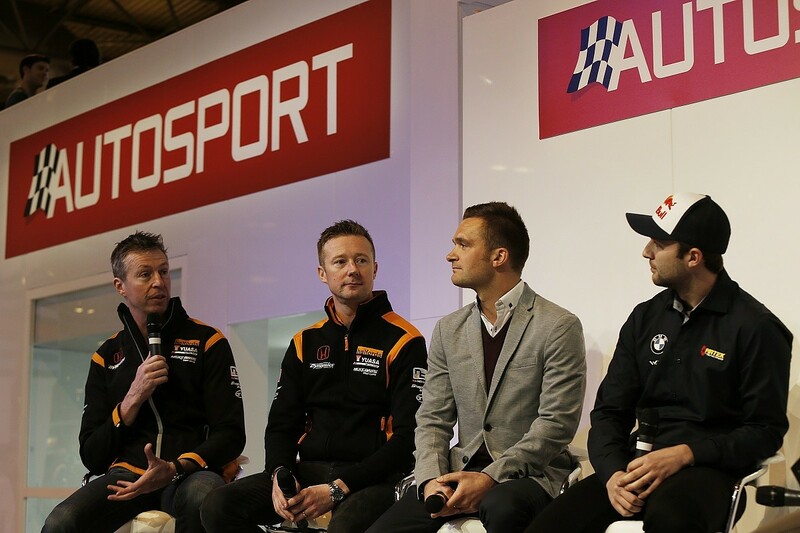 That is something that three-time BTCC title winner Gordon Shedden knows only too well. He has been in all positions: he has been the hunter and the hunted in his dramatic successes in 2012, '15 and '16 aboard his Team Dynamics Honda Civic. He knows this weekend will be a cauldron for those involved, although he believes that Turkington is in the box seat. "All Colin has to do is run around behind Tom and then the title is his. That would be my approach!" says Shedden. "But the BTCC always has a way of delivering some drama, as I know very well. "Look at Andrew Jordan when he won it in 2013: he was 35 points ahead of me and 34 points clear of everyone else going into the showdown at Brands Hatch and, in the end, I finished only seven points behind him because he had a nightmare in race two. These things can happen. "Colin and Tom could qualify on the front row, but it only takes one little thing. Imagine if someone hits Colin in race one and breaks his suspension. He will be at the back of the grid for race two with Tom up the front. Then it is all to play for." ITV commentator and 1992 BTCC champion Tim Harvey thinks that Saturday afternoon will be vital for the outcome of the series. The 30-minute qualifying session will set the backdrop for the events to come and Turkington will go into it with 75kg of success ballast, compared to 66kg for Ingram. "For Colin, it is probably the most important qualifying session of the year," says Harvey. "You can't really make a plan for what's to come until you've worked out where you are for the start of race one. Colin will have to see where Tom is and then play his cards from there. He just needs to keep Ingram in sight and then he can judge what to do. "But the good thing for Colin is that he doesn't have to go on the attack. He can play a measured game and judge what his rival is doing. He doesn't need to take risks - and Turkington is superb at playing the game too. "He was stressed going into the last rounds at Silverstone, but you wouldn't have known because he is a cool character. He never lets it show. He has been here before, and he knows what it takes. That will give him an advantage." Turkington's 34-point advantage will be a crucial factor in determining the Northern Irishman's approach. Sometimes it is harder to drive to percentages. Ingram will have the gloves off and simply have to go for it, while Turkington can be more circumspect. 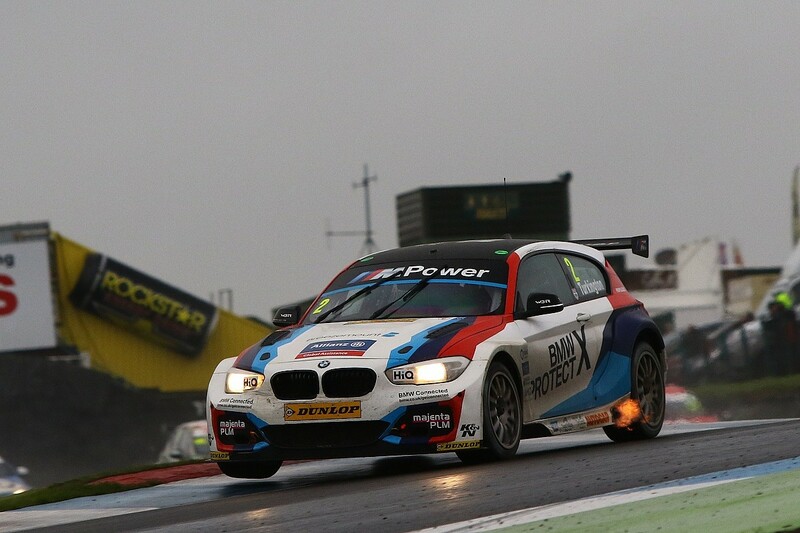 Shedden says that he would rather be in the BMW man's shoes going to Brands. "I would rather be the hunted than the hunter in this situation, because that means you have been successful and you already have the points on the board," he says. "It means that you have already got that in your pocket to fall back on if the worst does happen - and it can." While Turkington might be on the defensive, 25-year-old Ingram will have a totally different mindset. He has a huge task, but one that he will simply not give up on. For him, it will be the most important weekend of his already decorated career. His tactic will be to go for broke. "I think that Tom has been employing that tactic for the last few rounds anyway because he has had to to keep himself in the picture," says Shedden. "But Tom will probably be the more relaxed of the two going into Brands Hatch. He knows it is a long shot. If he were a couple of points behind, then the pressure would be more. "Because he is so far back, there really is nothing to lose. Deep down in his heart, he will know that he needs something unusual to happen to turn it around and win the title, so he can just do the job he normally does and let the rest take care of itself." Harvey agrees that all-out attack is Ingram's key factor. The three-time race winner in 2018 has yet to experience the pressure of a title showdown, but his position means that he has a lot of cards in his favour. "We know that Tom, without ballast weight in his car, is the fastest man out there at the moment," says Harvey. "He has got the tools to do the job. But we will really see what he is about this weekend. He is going up against Colin, and there are very few weaknesses in Turkington's armoury. "Ingram will have to give it everything, push on to his maximum, and then let fate do the rest. If you haven't been in a showdown before, there can be an element of desperation that creeps in. "This is what these guys live for: it is their whole life, it is the biggest thing they can achieve. They've worked for it for their entire careers and if you haven't won it before, it's massive. That is where the pressure can get to you. It will be fascinating to see how Ingram copes." Autosport says: Serial points collector. When the car hasn't been at its best, Turkington has picked up what he can from each meeting and has kept the tally ticking over, despite some unreliability earlier in the season. Calm, clean and unflustered racer and he has been here and done it already. 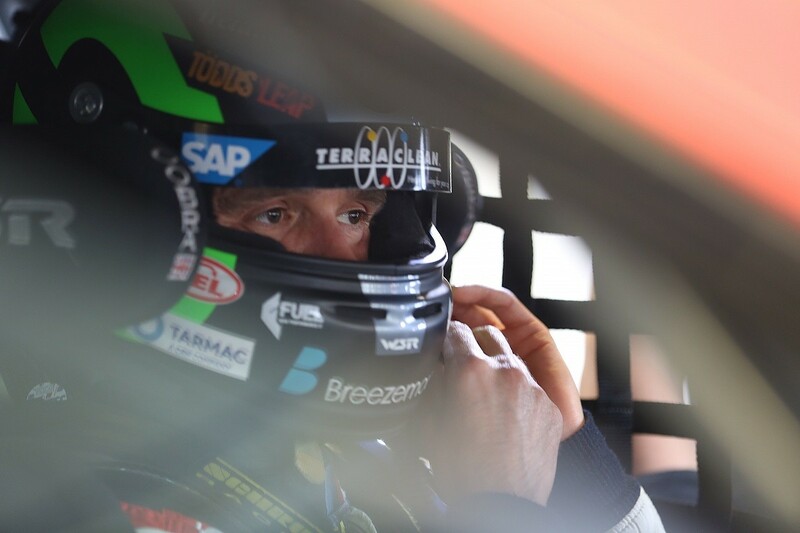 Turkington says: "I am going to be better prepared for this weekend than I ever have been. That is my focus. No stone will be unturned. I will look at what Ingram's doing, but it is all about my performance. I need to be absolutely at my best, and I will try everything to make sure I am. I have a points advantage, but I want an even bigger one after race one. I will put everything into this, because I want it so much." Autosport says: A revelation in the Toyota. The Avensis, shorn of weight, is potent and Ingram has shown that he belongs among the BTCC elite. It is a long shot to win the title, but he has all the attributes at his disposal. His hunger for the crown is clear and he will not leave anything on the table in terms of effort. Ingram says: "All I can do is go for it, put the heat on Colin and hope he makes a mistake - even though this is Colin we are talking about! As long as I do the best job I can, I know I have had a good season and what happens from there, we will see. "I need to just put it all on the line, and I am very prepared to do that. It's maximum attack from me, and that is the way I like it. I really want this title."